The HTML Source Editor now supports syntax highlighting. With e-Campaign Business Edition, you can configure and use multiple delivery profiles, each profile with different delivery settings. Switching between different settings is never easier. 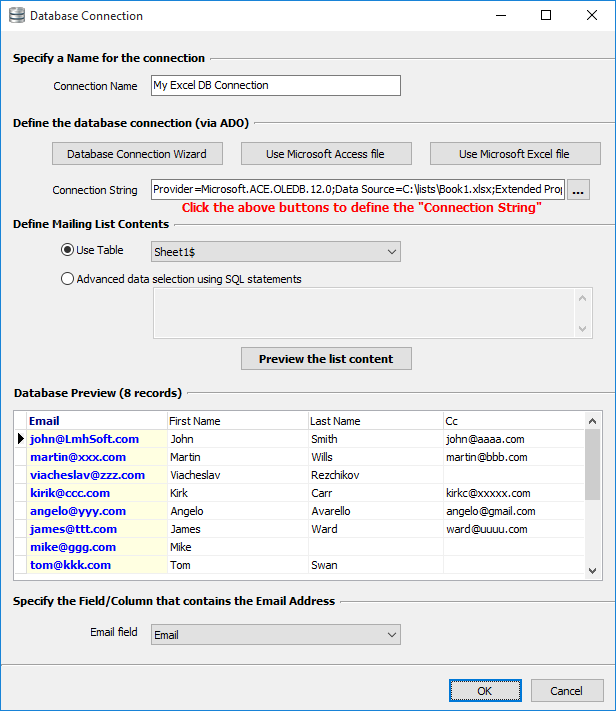 e-Campaign Business Edition allows you to directly use Microsoft Excel, Access, or SQL server databases as your mailing list. 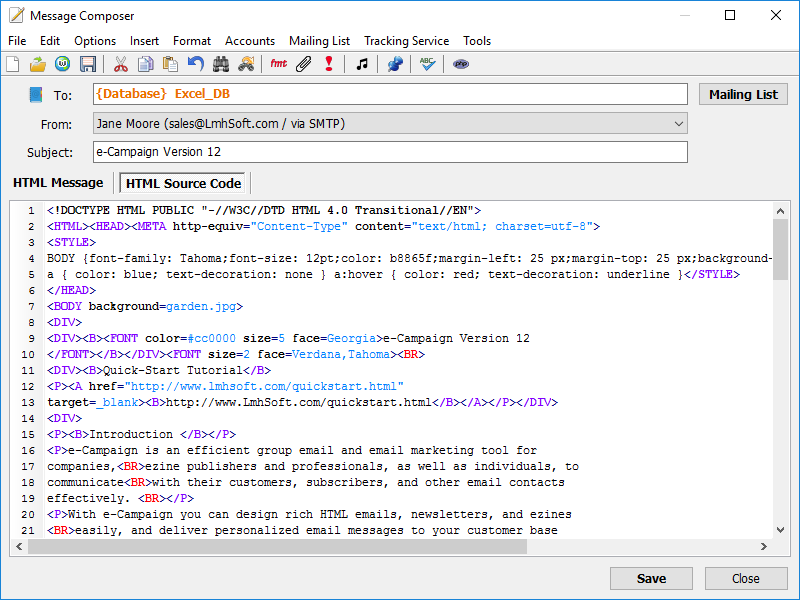 e-Campaign Business Edition supports four email delivery methods: via its built-in SMTP server (ie. 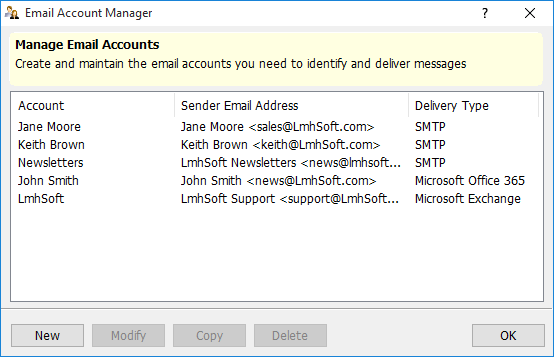 "Direct Send"), SMTP server, Microsoft Exchange Server, or Microsoft Internet Information Services (IIS) Pickup Folder. 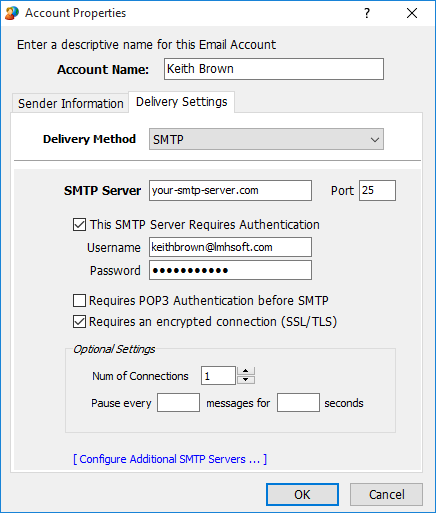 Many businesses use Microsoft Exchange Server as their email server software, and don't offer SMTP accounts. 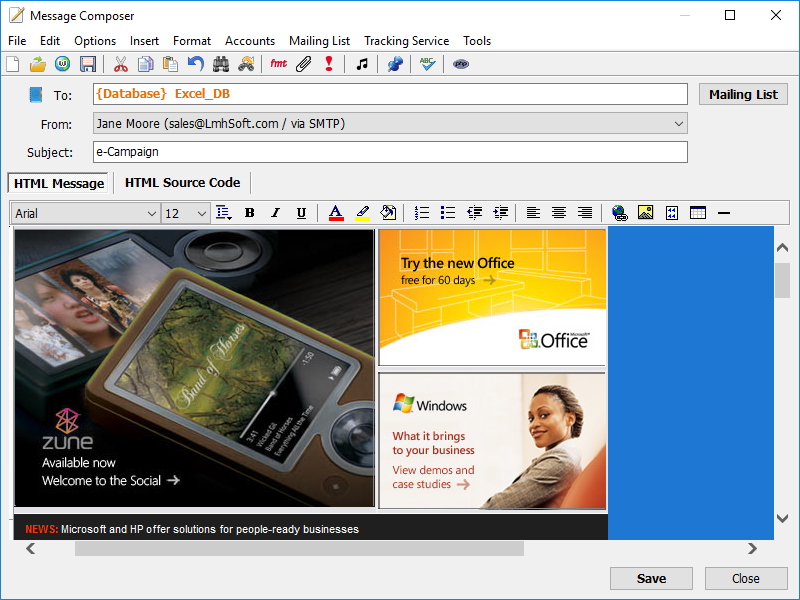 e-Campaign Business edition added support for sending email via Exchange. 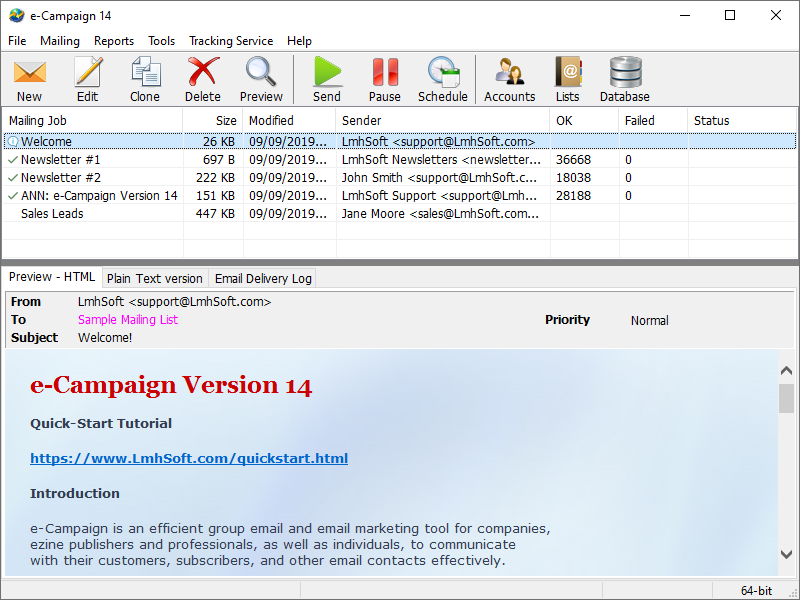 So far, this is the only bulk email software that is capable of sending email via Exchange Server.